One of my favorite parts of any holiday is dressing for the occasion. Whether I’m donning my clover headband for St. Patrick’s Day or piling on the pastels for Easter, I always like showing my holiday spirit through my clothes and accessories. With Valentine’s Day less than a month away, it’s finally time to start planning my red and pink! I don’t have many Valentine’s jewelry pieces in my collection, so I thought this would be the perfect time to craft something new. These Lacy Heart Earrings are just what I need to complete my Valentine’s Day attire! 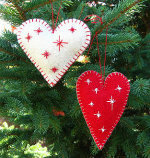 With their red color and subtle heart shape, they’ll definitely get me in the holiday spirit. I love the intricate filigree details in these pretty heart pendants. They’re like tiny Valentines I can wear! 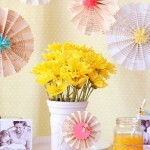 I think I’ll be my own Valentine this year and gift myself this adorable DIY Valentine craft. If you’re spending this special day with your sweetheart, you’re going to want to look your best. This Chocolate Covered Cherry Hearts Necklace is the perfect date night accessory. The colors are a bit more muted for a more sophisticated look, so you could definitely wear this out to a fancy dinner. The layered beads and chunky gold chain are fashionable but fun. I’d pair this with a solid black top or dress to really let the necklace stand out. For all the single ladies out there, Valentine’s day is always a good excuse to get together with your girlfriends! Wouldn’t it be fun to have a girls’ night in and plan a fun Valentine’s craft you can all make together? I think this Valentine’s Beaded Heart Jewelry would make a fun party project. With a variety of ribbons, you’re all sure to come up with something different. Try using Swarovski crystal beads for some extra sparkle. No reason you can’t pamper yourself on Valentine’s day! If you have to work on Valentine’s Day (like me), dressing up at the office is always a fun way to subtly celebrate. Crafts like this Wired Heart Pin or this Faux Metal Heart Necklace are good options if you’re looking for heart-themed jewelry, or if you just want to add a touch of pink to your outfit, you could try the Love on a Wire Bracelet or Right Angle Weave Cocktail Ring. Pieces like these will help you feel the Valentine’s Day love without going too overboard. There is even more inspiration for Valentine jewelry over at AllFreeBeadedJewelry.com to get your creative juices flowing. It’s time to start on all your Valentine craft projects, because February 14th will be here before we know it! So what are you crafting in preparation for Valentine’s Day? Do you dress up and decorate for the holiday? This week’s gift feature is all about those winged keepsakes that we have a special affinity for around Valentine’s Day. When did winged hearts become popular? They’re representative of wild hearts and passionate love. Just as butterflies can be representative of friendship and beauty. Try some of our favorite winged crafts for a friend’s birthday or for Valentine’s Day coming up in two weeks! For more Valentine’s gift ideas, click here. 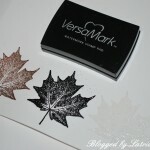 Have you hit the proverbial wall when it comes to unique ideas for Valentine’s Day? Your significant other and your friends basically know what to expect from you, like they do every year. Unique ideas for Valentine’s Day are foreign to you. In the originality department, you need a refresher. Let’s be honest, Valentine’s Day is all about the red and pink hearts, lovey dovey stuffed animals and pretty flowers. Sure, that’s all a huge part of what has made Valentine’s Day what it is. But there’s another element of this holiday that often gets overlooked, even though it’s glaring us in the face. LOVE! While you’re looking at all those red and pink hearts this year, hopefully it reminds you of the love you have for your boyfriend, spouse, friends and family members. What is love? It’s a feeling. It’s an emotion. I believe that love is best shown, not said. Think about the special things you share with your loved ones to come up with some great gifts and heartfelt unique ideas for Valentine’s Day. 1. What’s your boyfriend’s favorite candy? If he loves Skittles or M&M’s, put them in small packages with sweet love notes for him to find throughout the day – one in his car, gym bag, medicine cabinet, laptop bag. If you really have some extra time – go through the Skittles and pick out all the red and purple ones and give those instead of the entire assortment! Do the same for the red M&M’s. 2. Make him something he’s not expecting. You’ve noticed that all his socks have holes in them, or his underwear really need an update. Make a special Valentine gift that’s practical and thoughtful. If you’re a knitter, knit a pair of great socks. Or buy a fun pair of cotton boxers and decorate them for Valentine’s Day! 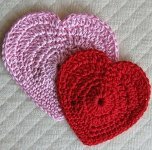 Check out this knit sock pattern, and this craft project for Valentine boxers. 3. Say “I Love You” with a poem. Sometimes those ready-made greeting cards don’t quite express how we feel about our loved ones. Say something meaningful in a heartfelt poem that your guy will appreciate and treasure – yes, even boys might like poems. Make a pretty (or cheesy) Valentine card to go with it, to bring out the sensitive and goofy side of you as well. Poems don’t always have to rhyme, either! 4. Order take-out from a variety of your favorite restaurants, for a feast-for-2 in the comfort of your own home. Take the reigns on the dinner plans this year, instead of always relying on him to make the first move. He’ll appreciate being let off the hook for once, and might make up for it in other areas. 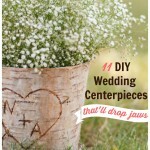 Try something creative like personalized or heart-themed napkin rings or dinnerware. Follow this tutorial for Valentine Table Setting and Custom Dinnerware. For more unique ideas for Valentine’s Day, check out these 12 suggestions for every type of guy. You may not even be thinking about Valentine’s Day. And if you plan to get storebought Valentines for all your friends and loved ones this year, you really shouldn’t be thinking about it yet. However, if you’d like to make something a little more intricate to show your love and devotion – then now is the time to get started on those Valentine craft projects. 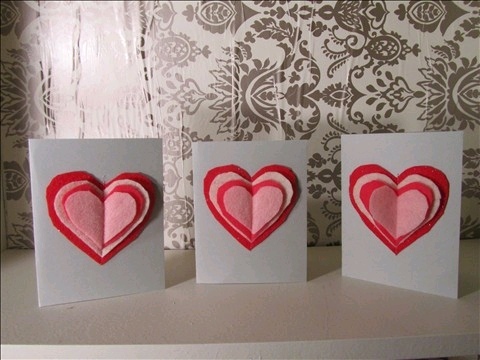 For more lovely Valentine craft projects, click here.